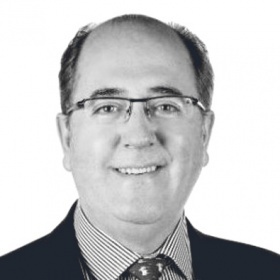 Martin Velasco is a Business Angel and entrepreneur with extensive experience in the IT, medical and biotech areas. He is considered a leading European Business Angel by the Wall Street Journal, and one of the leaders of European change by Business Week. Martin serves on the board/advisory board of several high-tech companies including Sumerian, an analytics company transforming Big Data into business focused IT intelligence, as Founder and Board Member, Anecova, an assisted reproductive technology (ART) company and World Economic Forum Technology Pioneer 2008, as Founder and Chairman; AC-Immune, a leader in Alzheimer’s disease drug development and World Economic Forum Technology Pioneer 2009, as Chairman; and Cocomore, a digital communications agency & IT services firm, as Chairman of the Supervisory Board. Martin is also the Founder and Chairman of Infantia Foundation, a philanthropic organisation aiding children in the developing world. He is a Member of the Board and Executive Committee of BlueOrchard, the leading microfinance investment advisory company; Vice President of the Board of the Foundation EPFL+; and Vice Chairman of the European Tech Tour Association.